Positives: A good appetite suppressant – hoodia was arguably one of the most important discoveries in the weight loss industry in recent years. Negatives: That is all it does! Although the product has been featured on the American news channel CNN, many customers say Hoodoba Pure does not work and state they were unable to get a refund via the money back guarantee. What is Hoodoba Pure and How Does it Work? 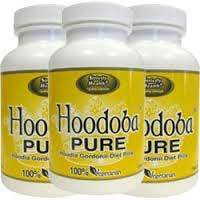 Hoodoba Pure is simple product in so much that it contains only one active ingredient—hoodia gordonii. Hoodia gordonii is a popular appetite suppressing ingredient that is derived from a cactus-like plant that is native to Africa’s Kalahari desert. The ingredient’s appetite suppressing ability is believed to be due to the presence of a compound called P57 that appears to act on the brain in a manner that produces an effect that is similar to that of glucose. This ability allows P57 to mislead the brain into thinking the stomach is already so full the appetite must be suppressed. 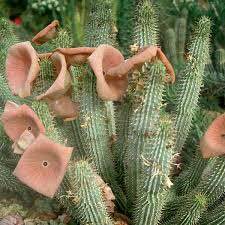 Although many claims are made for the appetite suppressing abilities of hoodia scientific evidence is lacking. However, if Hoodoba Pure diet pills can live up to the claims the manufacturer makes for them they should make it easy for users to be satisfied with less food and allow them to lower the amount of calories they consume each day. If this proves to be sufficient to cause a calorie shortage, fat will need to be burned to provide extra energy. Each capsule contains 750mg of South African Hoodia. 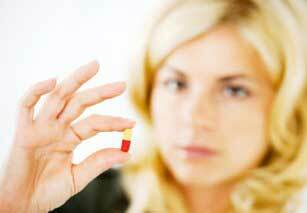 Days 1 – 14 Two capsules should be taken three times per day, with a full glass of water, 45 to 60 minutes before meals. Day 15 onward One to two capsules are required, with a full glass of water, 45 to 60 minutes before meals. Customer feedback is a mix of good and bad. The manufacturer says there are “no known side effects”, but pregnant or nursing mothers should should avoid using any brand of supplement that has not gained the approval of their doctor. The same advice is offered to anyone who has existing health problems and to people using medication or other supplements. A bottle of Hoodoba Pure costs $54 from the official product website. Customers are also invited to take advantage of bulk buy incentives and the best deal goes to people who order five bottles of Hoodoba Pure for $270 and get an additional four bottles free of charge. A 30-day money back guarantee is offered, but the site provides no information about the refund process or any stipulations that may apply. When we visited the site for the purpose of this review we noticed what appeared to be a link to further information, but it failed to work. When we inspected the page source we discovered the words “See Our Money Back Guarantee” were not coded as a link. They were just written in blue and underlined. We find this strange so we checked the Rip-Off report website and found a complaint from a woman who claims she was refused a refund when she contacted customer services and said the product had made her seriously ill. We we looked into the matter further we discovered this is not an isolated incident. Although the appetite suppressing abilities of hoodia have not as yet been satisfactorily proven, many people say the ingredient has worked well for them. This is an important point that needs to be remembered. However, Hoodoba Pure is a simple product that does not contain any other active ingredients so the price of the product is shockingly high. This is somewhat of an issue, especially bearing in mind the amount of dissatisfied customers who say they were unable to obtain a refund via the money back guarantee. Can Hoodoba Pure help with weight loss? Perhaps. But anyone who finds that it does not may have to be willing to kiss their money goodbye. Hoodia is a good natural appetite suppressant – if you were to be transported back in time to 2010 the Hoodia diet pills were the most common weight loss supplement in the western world. Time has moved though and the most effective diet products have more than one mechanic action – fat burning fat blocking and appetite suppressing.